Free yourself from high electricity costs with an investment that will grow with your family. Revolusun has installed over 8,000 residential photovoltaic systems and growing! We believe that every family is entitled to a clean energy future, and we make it easy to get your residential PV system with a range of simple financing options. Our new PV + Battery Storage systems do not require any HECO studies and can be approved within 30 days! PV + battery systems do not export solar electricity from your house to the “grid”. As a result, clients who want to install solar on their home no longer have to wait for HECO studies that could last many months or years. PV + Battery systems are now being approved within 30 days! 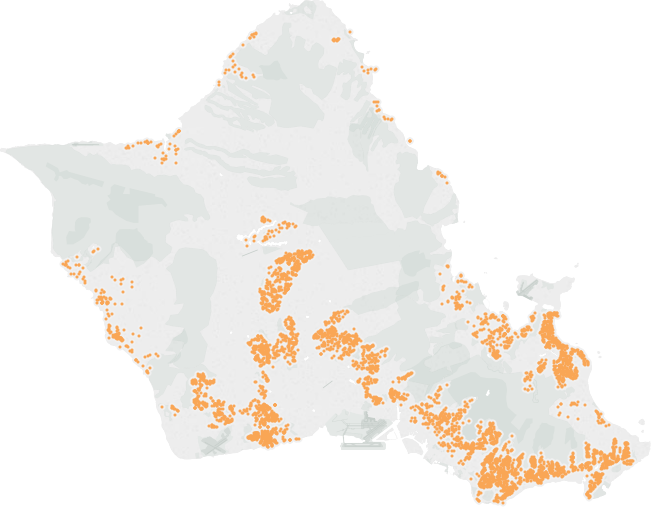 We’ve installed more than 8,000 solar systems homes and businesses across Hawaii and it shows! Our installation process, developed through years of experience, will give you a system that looks better, stands up to the elements better and functions better than the other guys. From the way we flash our mounts and secure our panels, down to the way we route our conduit, RevoluSun ensures a great looking solar system that will last. RevoluSun rigorously tests every product we sell. We work with industry-leading manufacturers—from the solar panels to the nuts and bolts. We use only the best for your home. RevoluSun is a proud SunPower Dealer, the maker of the world’s most efficient solar panels. With SunPower, you will produce more solar energy from the first day your solar system is installed. And continue to day after day, week after week, year after year SunPower Solar Panels will continue to produce more power than conventional panels… Meaning more savings for you! From plantation-style single-wall constructed homes, to large commercial buildings, RevoluSun has installed over 8,000 residential systems and hundreds of commercial systems on Kauai, Oahu, Maui, Molokai and the Big Island.